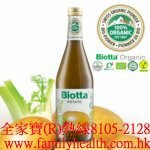 The drink contains among others extracts from carrots, rose-hip and mango. No alcohol or preservatives. For prolonged use as food supplement take 20 ml daily, preferably in the morning. May be diluted with water. The indicated recommended daily dose should not be exceeded. Food supplements should not be taken as an alternative to a balanced diet. Favour a healthy lifestyle. Shale the bottle before use. Use the measuring cap provided. Aqueous extracts: camomile flowers, fennel, bitter orange peel, carrots, spinach; Fruit juices: apricot, mango, pineapple, pear; honey, natural peach flavoring.